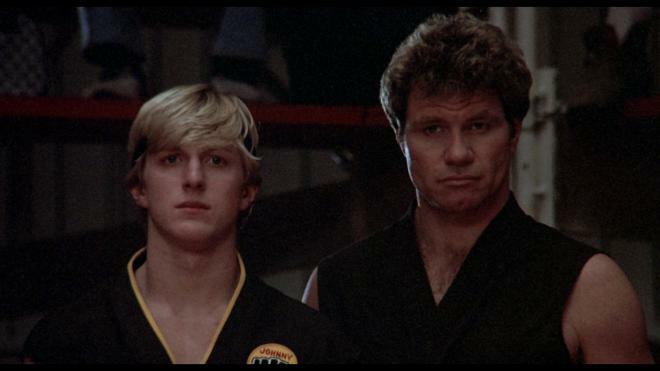 Celebrating thirty-five years since its original theatrical release, John G. Avildsen's The Karate Kid remains one of the best underdog sports drama ever. Featuring memorable performances by Ralph Macchio and Pat Morita, the film is an intelligent and inspiring coming of age tale about discovering that the journey to success is just as rewarding as the final result. The classic 1984 martial arts drama enters the Ultra HD tournament with a beautiful HDR10 presentation, a satisfying Dolby Atmos soundtrack, and one brand-new featurette, making the overall package Recommended for the whole family. 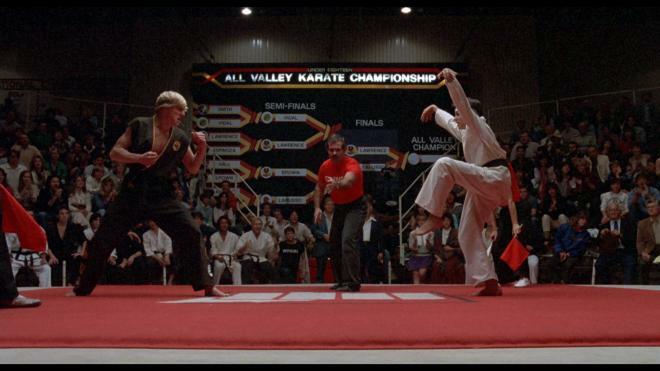 Thirty-five years later, The Karate Kid has rightfully earned its place in movie history and has become a cherished cultural phenomenon thanks to a devoted fanbase that has led to funny interpretations, endlessly parodied and a popular web series. Not only does it have many memorably repeated lines ("Man who catch fly with chopsticks, accomplish anything.") and one of the most popular montages around, but it also overcomes its cheesy title by featuring an intelligent and poignant story with strong direction and a terrific cast of actors. While I much prefer his performance in Crossroads, Ralph Macchio is excellent as Daniel, and Pat Morita is superb — the finest role of his career — as the wise, meditative mentor. The martial arts drama lives on as a celebrated classic of the 1980s, and like Rocky, it is one of the best underdog movies around. You're the best! Around! Nothing's gonna ever keep you down. 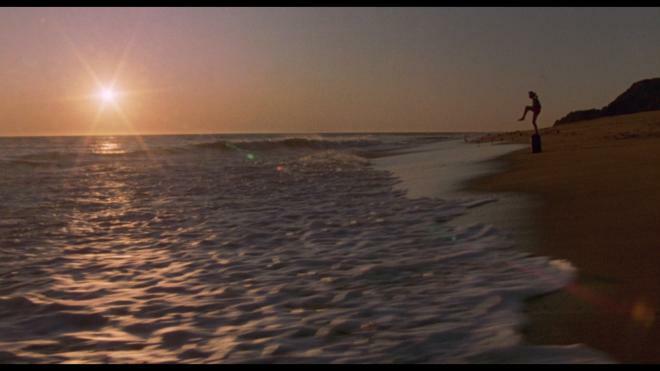 For a more in-depth take on John G. Avildsen's The Karate Kid, check out our original Blu-ray review written back in 2010. 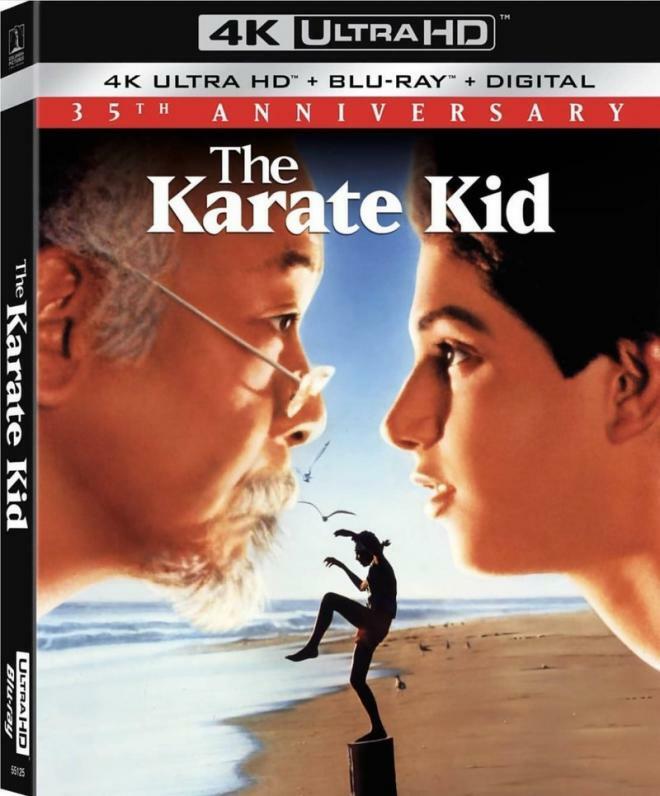 Sony Pictures Home Entertainment celebrates the 35th Anniversary of The Karate Kid on Ultra HD Blu-ray as a two-disc combo pack with a flyer for a Digital Copy, which can be redeemed via sonypictures.com and Movies Anywhere. When redeeming said code, users have access to the 4K Dolby Vision version with Dolby Atmos audio. The dual-layered UHD66 disc sits comfortably opposite a Region Free, BD50 disc, and both are housed inside a black, eco-elite vortex case with a glossy slipcover. At startup, the disc goes straight to an interactive main menu that changes screens when switching between the usual options while music plays in the background. The 1980s teen classic enters the Ultra HD tournament to prove it's the best around with a beautiful HEVC H.265 encode. While it may not beat out some of the best of the best titles currently available, this UHD is a definite win over its 2010 Blu-ray predecessor. Taken from a brand-new restoration and remaster of the original camera negatives, this 2160p transfer boasts a noticeable uptick in definition and clarity, with a couple of scenes even coming close to demo-worthy. It’s not always a night and day difference, with several moments looking softer and poorly resolved than others, but on the majority, viewers will be quick to note sharper lines and edges around cars, buildings, various furniture and the fine threading of clothing. The picture quality is consistent and stable, awash in a thin layer of natural grain, making it all look attractively film-like. Although the original photography was never the flashiest or much of a looker, the cinematography nonetheless benefits from the jump to UHD, displaying enhanced contrast levels and brighter, more intense whites. However, the boost also creates minor spots that run hotter than normal, which whitewash the finer details, such as the flames of the fire pit on the beach. Notwithstanding, specular highlights are a noteworthy improvement, making the sunshine glimmer off the surface of cars and water with a vibrant, true-to-life intensity, brightening the entire frame. On the other end of that scale, brightness levels are very dynamic and full-bodied with excellent gradational details and differences between the various shades, delivering pitch-black shadows that don't obscure background information, providing the 1.85:1 image with a gorgeous, cinematic quality. The remastered video is accompanied by another well-welcomed upgrade, delivering a pleasantly enjoyable and satisfying Dolby Atmos soundtrack. In all honesty, the object-based presentation is not a significant improvement over the previous lossless version, but kudos to Sony nonetheless for not drastically altering the original sound design while still lightly enhancing a few key aspects. The same set of supplements from 2010 are ported over and can be enjoyed on the accompanying Blu-ray while the Ultra HD features a brand-new retrospective. Remembering The Karate Kid (2160p, 10 min): New interviews with stars Ralph Macchio, William Zabka and Martin Kove reminiscing on the production and the film's legacy. Audio Commentary: Featuring director John G. Avildsen, writer Robert Mark Kamen, Ralph Macchio, and the late Pat Morita, the discussion is a fun listen, especially for fans of the film. We quickly gather that the men enjoy each other's company and talking about the movie as they all try to throw in their two-cents. The conversation ranges from problems during shooting, working with each other, stunts, and the overall story. There is a great deal of info being divulged here, but it's all well worth it as the track is breezy and quite entertaining. Blu-Pop: PiP pop-up feature with trivia track, interviews, and various factoids. The Way of the Karate Kid: Part 1 (SD, 24 min): This first segment to a larger documentary takes viewers into the story's genesis, production, and the themes explored by the film. With interviews of cast and crew, behind-the-scenes clips are spliced into the conversations about casting, character development, and the movie's lasting impression. The Way of the Karate Kid: Part 2 (SD, 21 min): With more behind-the-scenes video footage mixed in, this second half pretty much continues where the first one finished. Interviews, again, cover different aspects of the production with particular attention given to the stunt work during the karate tournament. Beyond the Form (SD, 13 min): Martial arts choreographer Pat E. Johnson talks about his experience on the set of The Karate Kid, the spiritual philosophies of karate, and the film's impact on the sport. East Meets West: A Composer's Notebook (SD, 8 min): This conversation with composer Bill Conti is another amusing piece. He explains his inspirations and thought process in creating a musical score that perfectly captures the emotions of each scene. When talking about The Karate Kid, Mr. Miyagi put it best when he explained to Daniel-san that "not everything is as seems." The film is an intelligent and inspiring coming of age tale about discovering that the journey to success is just as rewarding as the final result. 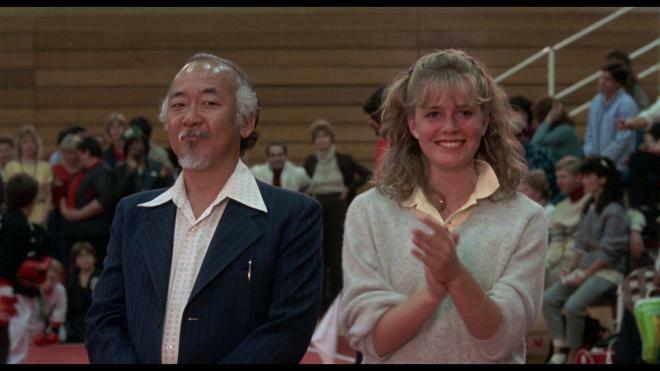 It also features one of the most memorable performances in movie history by the late Pat Morita. The classic 1984 martial arts drama enters the Ultra HD tournament with a beautiful HDR10 presentation that improves on its Blu-ray predecessor and a satisfying Dolby Atmos soundtrack. 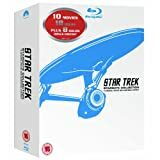 A new (short) retrospective, on the UHD disc, joins the same set of supplements from the previous Blu-ray, making the overall package recommended for the whole family.